Massage is an investment in your health. So, let us customize and develop a massage program that caters to your needs and your wellness goals. Please contact me to schedule an appointment and I can help you choose the right massage modality to meet your needs. Customized to reduce injuries and alleviate inflammation for peak athletic performance. Reduces fatigue, swelling, muscle tension and promotes flexibility. Heather works with many recreational athletes adn Professional and Olympic athletes as well. Utilizes light and gentle strokes from Swedish and Oriental massage prompting deep relaxation. Helps reduce stress, relieve pain, improve sleep, aid digestion and promote healing. Specifically designed for the expecting mom to ease muscle aches while providing comfort. Post delivery massage is also available to help transition the body back to pre-pregnancy condition. The ultimate facial massage that's relaxing and addresses aging skin through toning without surgery. Providing a healthy and radiant glow to your skin. 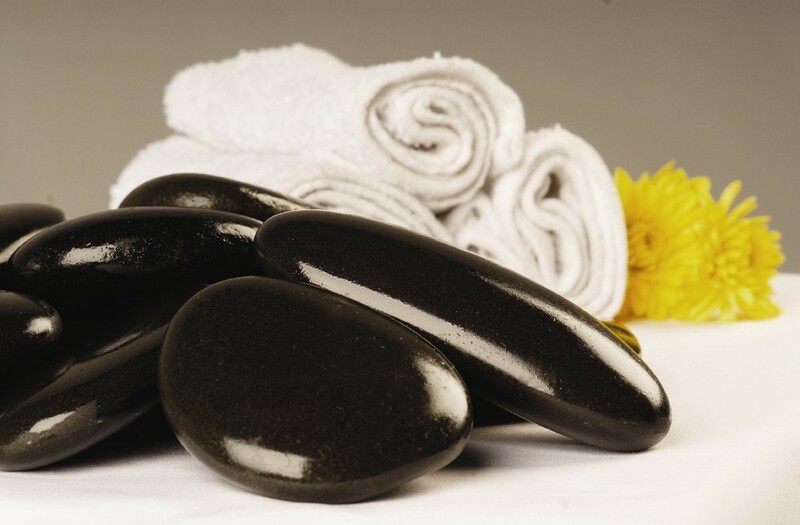 Utilizes the deep penetrating heat from Basalt Rocks to provide relief for tense muscles and sore joints. A true therapeutic treat! Body polish exfoliates the skin leaving it smooth and soft. Body Mud aids in detoxifying the body. Either treatment combined with a full body massage creates the ultimate relaxation experience. Herbal Thai Ball Stems contain a blend of herbs in a muslin ball that is steamed before being applied to the skin. Massage oil is applied to the skin and the Herbal Thai Ball Stems are used to lightly compress and rub the muscles. Essential oils are applied systematically to reflexology points on the feet and spine helping fight infections viruses, parasites, funguses and bacteria. Affects the central nervous system and enriches cells with oxygen. Add essential oils to any massage to stimulate circulation and incorporating the healing power of the oils. Easing nervous tension and effecting mind, body and spirit. Additional $5-$15 per session. Relax to long gliding strokes. Effective for most aliments, because massaging the skin, the body's largest organ, sets-up a chain reaction that produces a positive effect on all layers and systems of the body. It affects the nerves, muscles, glands and circulation, and promotes health and well-being. Accupressure massage on trigger points that relate to different areas and internal organs of the body. Helps increase circulation to feet and legs and increasing mobilty and overall wellness. A fifteen to thrity minute relaxation massage utilizing Shiatsu and Swedish Techniques on a fully clothed client in a specially designed chair. Available for parties or corporate on-site wellness or recognition programs ~ quoted per event.